this is a456: Reading and Reviewing Bolaño's "The Savage Detectives"
Reading and Reviewing Bolaño's "The Savage Detectives"
There's something satisfying about a book with heft. If a novel is, say, more than 400 pages, it requires a commitment. And once you start, the book's weight will become all too familiar. If you stand fast to your commitment, you will notice the bookmark travel across the bound pages. You gauge your progress via a mysterious unit of measurement. At the end of the day, you look at the side of the book and think to yourself, I'm moving along. Reading a large book also requires a certain amount of task-orientation. I will read x pages per day. But if you are really liking a particular book, you may read two, three, four times the amount you thought you were going to read. There will be times, however, when you fall short of the goal. Perhaps you have a stomach virus. Or you have errands to run. Stuff happens, and oftentimes, this stuff can get in the way of reading. And this brings me to this question: should different books be read in different ways? Does a shorter book require a closer reading than a larger one? There could be some sense to this. Because a smaller book has a lesser amount of words, perhaps a more stringent editorial process took place. But, as it becomes evident, this makes no sense. The 500-pager may be the end result of a heavily edited 1,000-page number. You could start thinking about this in near-Borgesian exponentials. This, too, makes no sense. The book you hold in your hand is a finished product. Dry ink, handshakes, signatures, and all. Here's an experiment I tried a couple of years back. I read David Schickler's short story, "The Smoker" and was taken aback by the main female protagonist, a high-school senior who read one novel per night. I wanted to try this. I began with unread books that were lying around in my apartment. The first evening, it was Thorstein Veblen's The Theory of the Leisure Class. The next, it was Rafael Moneo's Theoretical Anxiety and Design Strategies in the Work of Eight Contemporary Architects. The following evening, it was Shirley Hazzard's The Great Fire. I thought to myself, okay, this is kinda working. I noticed two things. First, reading became physical. In addition to manually turning pages, I started using my index finger as a reading instrument. I would follow it as it traversed each word, each line, each paragraph. This soon got in the way of the page-turning, so I imagined my finger moving across the page. I would then train my eye on this imaginary finger-moving, only to make my second observation: that reading involves a certain amount of peripheral visual activity. While reading a particular word, you start noticing how that word physically fits in the sentence. That sentence has a particular location in a paragraph. The paragraph is set on the page in a certain way. It was as if reading became a three-dimensional process. I was not only reading and understanding the words on the page, but I was looking at the words as a series of black and white spaces. Positive and negative space on the page. It kinda worked. Just when I thought that this process was working better with shorter books, I noticed that I was bringing a different type of concentration to bear with longer books. It was a little like falling in a trance. Or like running. After the first thousand feet or so, moving your feet ceases to require your attention. It just happens. Reading in this way has its drawbacks, of course. You would certainly miss an author's lyricism. And in some instances, you may not give yourself time to enjoy a labyrinthine plot. I certainly encountered both of these circumstances in my speed reading phase. I thus forced myself to be somewhat parsimonious in the deployment of this technique. Speed mode was default mode. I would stop or slow down if the author required me to. Like I said, it's about commitment. I like headspace that books create. I use the word "space" here quite literally. A book is immersion in the purest sense of the word. Words form their own panoramas. In the depths and expanses of a book, you submerge yourself in a worded infinity. Two days ago, I finished a big book: Roberto Bolaño's The Savage Detectives. The book was written in 1998. The author died in 2003 (thanks mario b!). Since then, he's received just about any accolade an author can receive in the Spanish-speaking world. I found two things about this book very alluring, and both of them had something to do with space. First, the book was in many ways about writing. All the characters in the book are writers. They constantly write about the writing process. And often, it is very rote. The book's main protagonist will often say something like, "And then I went home and wrote poems until daybreak." Such statements take the idea of "headspace" for granted. 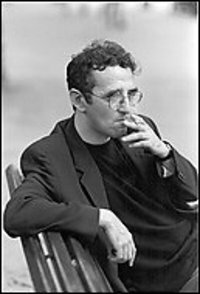 Bolaño's characters -- Roberto Belano, Ulises Lima, the Font sisters, Luscious Skin, and others -- are devoted artists whose everyday activities are suffused with the practice of writing. Second, the book's middle section (called "The Savage Detectives") features a seemingly endless collection of testimony, each prefaced by the precise physical location where the statement was being given. Because each testimony began with a person's name, a street address, and a city, The Savage Detectives took on a decidedly geographical feel to it. The various characters spoke from a host of different locations: Mexico City, Paris, Vienna, San Diego, Los Angeles, Tel Aviv. The narrative is fractured and (literally) worldly. How to write about a book that is about writing and that is about writing in the world? Issues of big "G" Globalization are apt to be raised. An imaginary review will begin with a quotation from another source. This is a time honored way of establishing an argument. It may begin something like this. In his essay on the Swedish detective novelist Henning Mankell, Slavoj Zizek notes how the novelist's particular type of police procedural is "the exemplary case of the detective novel in our era of global capitalism." One reason for this, Zizek tells us, is that Mankell is able to oscillate between different locations. This "parallax view" results in there being "no neutral language enabling us to translate one [location] into the other, even less to posit one as the 'truth' of the other." And to state his case, Zizek looks to Mankell's professional life, spent in between Sweden and Mozambique. In other words, "A true global citizen is today precisely the one who (re)discovers or returns to (or identifies with) some particular roots, some specific substantial communal identity -- the 'global order' is ultimately nothing but the very frame and container of this mixing and shifting multitude of particular identities." It seems that this is a way to begin post about The Savage Detectives, Roberto Bolaño's dizzying 1998 novel. Like Mankell, Bolaño is a creature of global circumstances. And like Mankell, Bolaño's particular flavor of fiction is detective fiction. The Savage Detectives is not a police procedural. There are deaths, missing bodies, dastardly deeds, heinous and questionable characters, but Bolaño's novel resembles a Mankell book in that its narrative revolves around the search of a missing person. 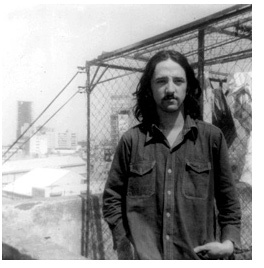 The missing person is the mysterious Cesárea Tinajera, the founding member of the visceral realists, a Mexican avant-garde poetry sect. Zizek uses the detective genre to stand for something else: the ability to know one's environment. In searching for clues, questioning witnesses, etc., protagonists may not find what they are looking for, but in their search, they will become more and more familiar with their surroundings. The idea is that one does not have to travel to become a global citizen; by familiarizing himself with a particular place, a detective adds to the established knowledge of places. A mysterious, as-yet-undefined portfolio of world places accretes more and more knowledge. Such knowledge is then collected in a book. Although Mankell's stories may tell of regional differences in Øresund, the fact that they are commemorated in written form is of consequence. And Zizek indicates that this is more important than the fact that Mankell is a geographically-displaced person (he lives in both Sweden and Mozambique). The same could be said of The Savage Detectives. 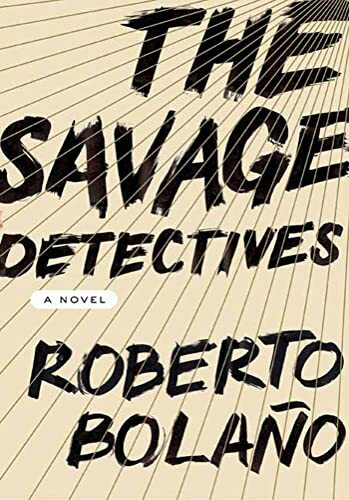 Though Bolaño lived his life in various countries (he left Chile after Pinocher's 1973 coup), The Savage Detectives is the record of this exile. Could this be a strong corrective to current literature about displaced persons and multivariate geographies? Perhaps there are no non-places (to use Augé's term). In this current globalized climate, are all places non-places? Are all non-places therefore places? A deliberate misreading of the word utopia brings this to the forefront. Phonetically, utopia could be "eu-topia" ("beautiful place") or "u-topia" ("no place"). Perhaps Zizek is alluding to the fact that a book of Mankell's (or even of Bolaño's) could be either eutopic or utopic. But let's get to the physical data, the hard data about The Savage Detectives that will help moor it in our reality. Here are its dimensions. The paperback version (the version I read) is 8.2 x 5.4 x 1.5 inches. Like I said, it's a big book. 672 pages. I read it in four days (about 168 pages per day). Thanks for stopping, mario. And thanks for the correction. It's interesting because there is a very strange moment (one of many in the book) towards the end of The Savage Detectives where Tinajera tells the visceralists about a dream she had ... it totally foreshadowed the plot of 2666.